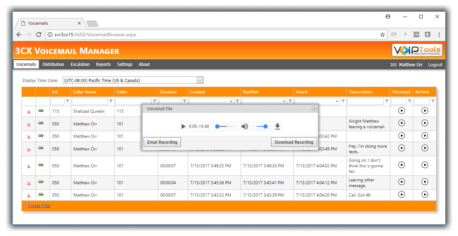 With 3CX Voicemail Manager, you can receive text transcriptions, automatically forward voicemails to distribution groups, escalate unheard voicemails, archive (compress) voicemails, and access your voicemails remotely using a simple web portal. We wanted to create a add-on that allows you to handle your voicemail with more flexibility. With our web portal, we make it simple to access your voicemails from anywhere, and we added some great features to extend the capabilities of 3CX too! 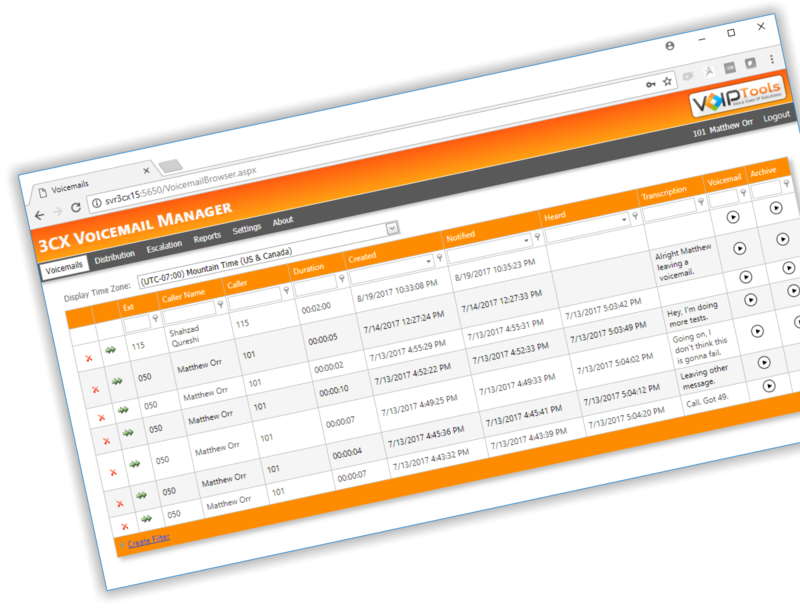 Improve voicemail handling with a simple-to-use web portal. Search, listen, forward, delete, and email voicemails from one interface. Our good friends at Electronic Frontier Ltd (EFL) have created an informational video to showcase the features and user interface of 3CX Voicemail Manager. EFL is the premiere 3CX distributor in the UK. Special thanks to Eddie for taking the time to create the video! Be sure to take a peek at our new co-branding feature. Now you can easily add your own logo and change colors right from within the web portal. This feature will be added to all our products. Added a default email subject that supports variables for caller ID, date and time — this helps with how Google displays emails. Updated the file conversion to MP3 to accommodate the encoding change made by 3CX. Is there a cost for transcriptoins? Voicemail transcriptions are 8 cents each for a 2 minute voicemail. We anticipate the price will drop as our volume increases. Do I have to enable transcriptions? What languages do you support for transcriptions?